Artificial intelligence, machine learning and cloud computing: all prominent buzzwords grabbing headlines in today’s media. Although these terms are difficult to envision for most, their tangible implementation can be best seen in modern robots. Today, a revolution in robotics is spearheading our progression towards a smarter planet and smart cities. With that comes a rising new job market, hungry for innovative graduates and skilled professionals. In this guide we will not only discuss the emerging role of robotics in different facets of life, but also the skills and qualifications that can help you capitalize on the accompanying growing job market. 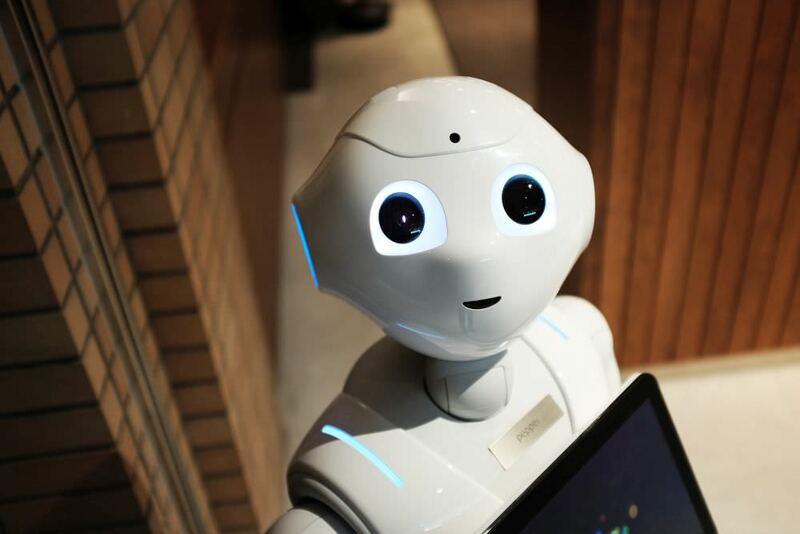 The robotics market is predicted to show rapid growth in the coming years as cities, industries, business and consumers migrate to a smarter lifestyle. The predicted 46% compound annual growth rate is a harbinger of careers in a variety of related fields. The major reason for this astounding growth is the increasing uptake of collaborative (or smart) robots alongside the traditional industrial robots. These robots are gradually revolutionizing all manner of industries driven by two major factors. First is the ever-rising cost of labour which is hampering consumer’s access to cheaper products. Secondly, thanks to advances in software and hardware, robots are increasingly cheaper and more versatile. The lower prices mean they provide a positive return on investment for businesses and even households, while their ever increasing intelligence and versatility makes them more adept at handling complex but repetitive tasks that were once too radical for them. Industrial robots were first introduced in the 1950s with more widespread acceptance in the 1970s. These early robots embraced the traditional “robotic arm” design and were designed to replace humans for repetitive, monotonous and dangerous tasks. They had a limited range of motion, were notoriously expensive and restricted to performing the simplest of jobs. Fast forward to today, and robots have advanced drastically, thanks to better hardware and software. While they are still primarily used to perform repetitive jobs in place of humans, the complexity of the tasks they can perform has elevated considerably. So, while the first industrial robots were restricted to jobs such as picking and placing parts, modern equivalents such as Dobot’s M1 can etch out 3D parts and use them to assemble smaller tools. Moreover, they can now perform these tasks with precision beyond the realms of human abilities, thanks to ever-evolving sensors giving them a constant barrage of feedback about their movements and activities. This extended range of abilities alongside lower costs mean robotic automation is no longer restricted to large industries, but all manner of businesses and even households. For a while, Robo-Dogs were a popular form of robotics for private use. Today, the technology sees many more use cases. In addition to replacing humans by performing repetitive tasks, robots are playing an increasing role in enhancing our range of abilities. This is seen in their use to help people with physical disabilities with robotic prosthetics, and their growing use in operation theatres to help surgeons perform surgeries with minimal invasion and added accuracy. These newfound abilities are making robots commonplace in roles that were considered implausible for them just a few decades ago. In addition to mainstream companies, a plethora of start-ups has stepped forward to upgrade every facet of modern life with robotic automation. While their use originated in industrial setups to automate the assembly line, manufacturers are taking the next step by automating the supply of parts to the assembly lines. Autonomous carts enable automated delivery of parts in conjunction with inventory software, carrying heavy payloads of parts safely across busy factory floors. These carts also found a home in warehouses, increasing efficiency while reducing downtime. Even industries where automation could not be conceived at some point are facing change. As an example, consider Monumentmachine’s fast food assembly line which would replace humans in kitchens completely, while lowering costs and delivering much better quality. For more dangerous industries, autonomous robots are a god-send. Redzone Robotic’s autonomous sewer inspection and Square robot’s oil and gas inspection bots are prime examples, replacing humans in dangerous environments while performing the same work with higher precision. With the massive scale at which crops are grown and the repetitive nature of the process, the agriculture industry has used autonomous farming vehicles for quite some time. Now, with modern sensors and software, these machines are getting smarter. Using advanced machine learning and computer vision technologies, Blueriver technology uses autonomous vehicles to perform delicate tasks such as eliminating weeds from crops and thinning lettuce plants. Being able to do this with high precision and in a fraction of the time makes such innovations invaluable to our ever-increasing food needs. With tiresome tasks such as dusting to critical tasks such as caring for the elderly, households are as susceptible to robotic automation. We have examples like Neoto robotic’s vacuum cleaner which completely removes the need for human interaction by mapping the room, cleaning it systematically and even recharging itself in anticipation of the next cleaning cycle. The medical industry is a prime example of how robotics are being used to enhance a human’s range of abilities. Virtual Incision is one such startup, allowing surgeons to operate with minimal invasion using precision actuators alongside advanced software. This tech even makes remote surgeries possible and will put healthcare professionals within easy reach of thousands. Electrical and Electronic engineers: With precise electronics and actuation alongside complex sensor arrays paving the way for modern robotics, electrical and electronic engineers are a mainstay for any modern company in this arena. Mechanical: Given the complex, specialized design requirements, mechanical engineers are invaluable for modern robotics. Computer scientists and software developers: With machine learning, AI and computer vision playing a pivotal part in robotics, computer scientists are a vital part of this paradigm shift towards smarter robots. Software developers are also coming to the forefront as robotic operating systems and application platforms become more complex. Moreover, Cloud computing is also playing an emerging role with the ever rising need for infrastructure and processing power to make sense of all the data being generated. German universities TU Darmstadt and TU Dresden offer excellent programs in Mechatronics (Mechanical-electronics) which covers the basics of robot design, actuations, sensors and processing. University of Oxford offers a degree in Autonomous Intelligent Machines and Systems. This not only includes an in-depth view of system design but also gives a background in computer science in areas like machine learning and computer vision. University of Bristol offers a Master’s degree in Advanced Computing – Machine Learning, Data Mining and High-Performance Computing. This segment is highly relevant to not only robotics, but the entire shift towards a smarter planet as complex algorithms make sense of all the data generated by modern electronics. All in all, robotics is playing an essential part in the smart revolution. Robots are surpassing their traditional roles of being expensive and complicated, using modern computing power to significantly enhance their capabilities. And with the right skillset, individuals such as you can capitalize on this rapidly growing niche for a better future.